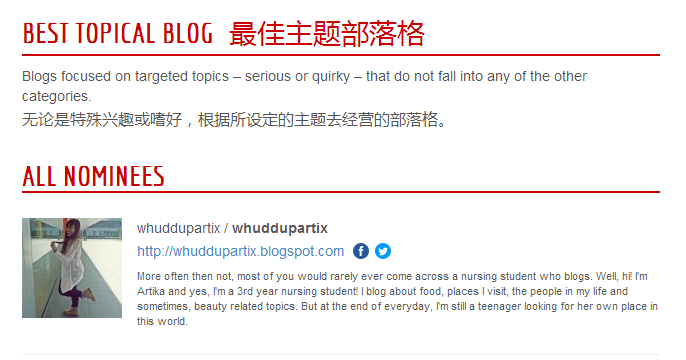 whuddupartix: Maison Ikkoku & Movie Date with Shark + Singapore's 7th Blog Awards! Maison Ikkoku & Movie Date with Shark + Singapore's 7th Blog Awards! This photo does not do much justice okay. It's so much more beautiful in real life, not even kidding! I've actually been here with Liyana before. Oh you know, the time I forgot to bring my wallet. Psht! Click HERE if you wanna see my blog post about it! Anyways, we went in and the aroma of the coffee was so overwhelming and it feels oh so heavenly :) You can spend the entire day making coffee at your own home but it still won't be as invigorating! And I'm so glad that I got a hot beverage although it was scorching hot outside but I just had to see how latte art looks like in real life and it's just perfecto! Shark got the orange juice and it's a really good choice to all you zesty people out there! Psssst, and don't mind my tired and naked face okay. Most of my make up wore off because I was perspiring like mad while we were walking around! Ah yes, before embarking on our torturous journey to find the cafe we initially wanted to go, we bought movie tickets from Bugis+. We wanted to watch The Fault In Our Stars but the timing was just horrible and we understand considering that it's just a sneak preview. So we chose How To Train Your Dragon instead! Let's just all take a moment to give a round of applause to shark for capturing this amazing photo of her sandwich. *APPLAUSE APPLAUSE APPLAUSE* I live for the applause-plause live for the applause-plause. After finishing our very hearty meal which I absolutely love and cannot get enough of, we bought a cake to conclude our brunch because really, what is a cafe visit if you don't get a dessert?! Yes babies, we bought the chocolate salted caramel popcorn cake! I mean come on, look at this happy girl instagramming her photos of the food here! And actually this is her virgin visit to a cafe so yeay shark I broke your cafe visit virginity (wtv the hell it means)! On with more photos now! Hais guys, I can't. I just can't. 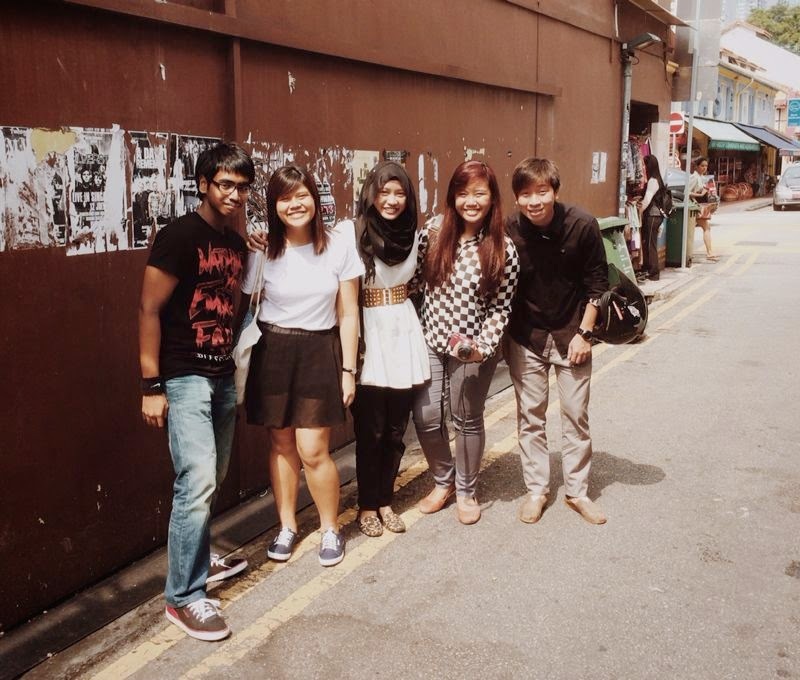 Afterwards, we took our time visiting some shops at Haji Lane! Okay this is probably the nicest decorated shop I've been to but sadly they don't allow photographs and I was like, "yknow if you don't allow us to take photos then don't make the place so nice". Not that I said it to the person but I was just thinking it psht! Fun fact: Shark has an obsession for socks. So you may just give her a pair of nice socks (not one with a smiley face because I bought that one for her from Aussie) for her birthday and you'll make her the happiest girl in the world. Oh, and preferably green or with some Taiwan actors' faces printed on them. That's it for the day! I honestly enjoy hanging out with this girl that it's becoming a weekly routine for us. Thanks sharkie for hanging out with me!! HI-5 IF YOU'RE READING THIS PLAN FOR A HANG OUT SESH ASAP. Ending off this part with some tired selfies! Yes, after years of blogging, I still don't know what category my blog falls under *doinks! * So thank goodness for this category! Oritey lets cut to the chase! If you're a blogger who's interested in participating, whether if it's for the fun of it (like me!) or if you want some publicity etc etc, you may register here! And if you're not a blogger but you have a favourite blog that you would like to nominate for the award, you may also do so here! Winners for each category will stand to win a trophy as well as a 5D4N trip to The Philippines! There are also other fantastic prizes given to winners of the Advertisers Choice sponsored by Panasonic and in addition to that, some of you lucky voters may stand a chance to win some prezzies too! Registration and nomination ends on 19th June so quickly choose your/your favourite blog's three best posts for submission! Do visit their website for more details and check out the other nominees!